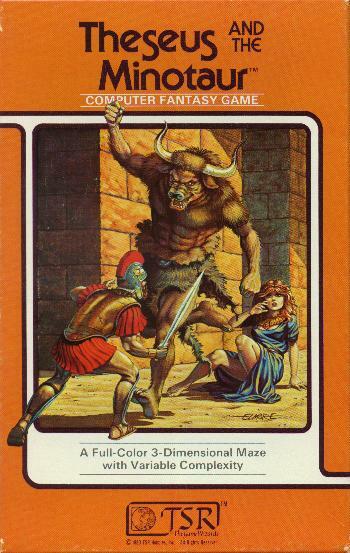 A very primitive 3rd-person dungeon crawl from TSR, the masters of non-computerized role-playing games. Input consists of keystrokes and one-word commands. The drawing routines are very slow, and you can win immediately (albeit with a very low score) by turning around at the very beginning and exiting the labyrinth. Fantasy illustrator Larry Elmore did the cover art.